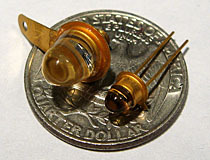 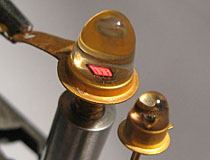 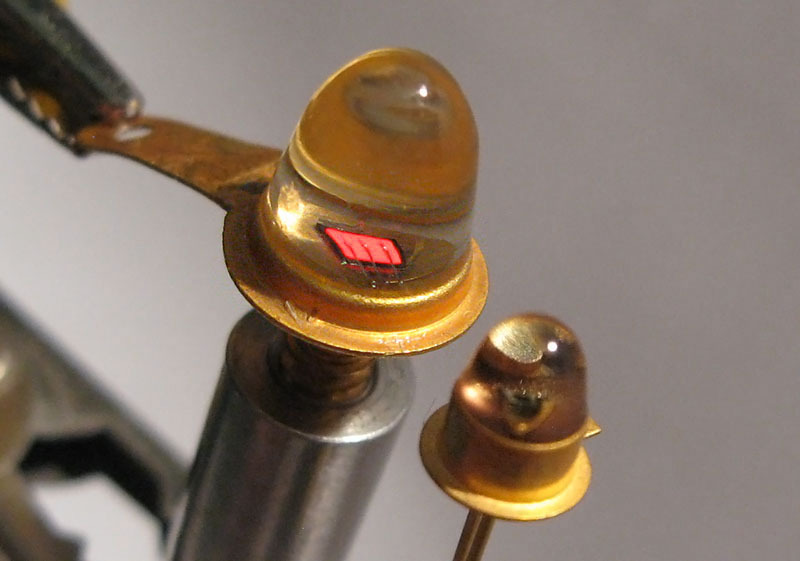 Monsanto MV4H LED, shown next to a MV1 for scale. 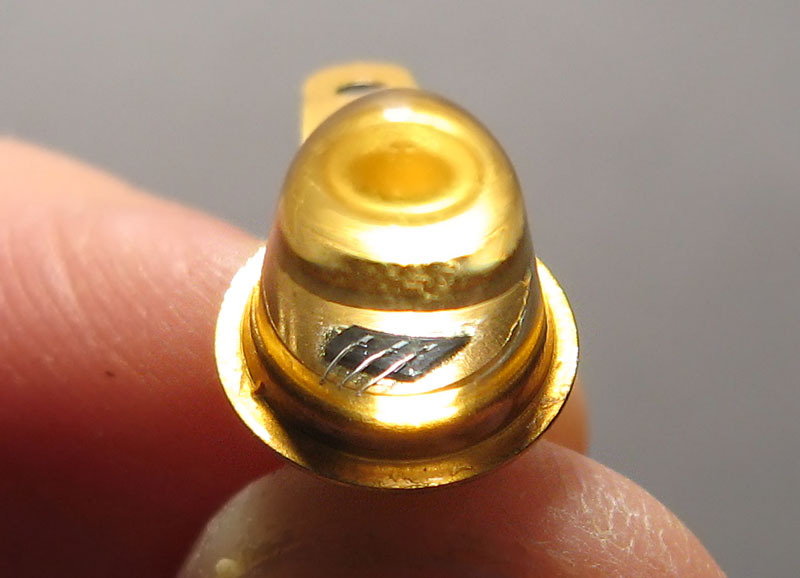 The top contact of the MV4H die is connected with three bond wires for increased current capacity. THe MV4H is much larger than Monsanto's other early offerings, and has a threaded lug to help with heat dissipation.